Why you need to consider getting Invisalign Aligners? Orthodontic treatments are used to correct and treat an individual’s bite and misaligned teeth. A tooth that is out of place can cause many problems like gum disease, difficulty cleaning your teeth, makes your teeth enamel wear out, increases risk of further tooth injuries, creates difficulty in chewing, causes bad breath and ultimately damage one’s self-confidence. There are various kinds of orthodontic treatments available in your general dentist or orthodontist’s office to treat one’s misaligned teeth and improper bite. These are Metal or Traditional Braces and Removable Invisalign Aligners. 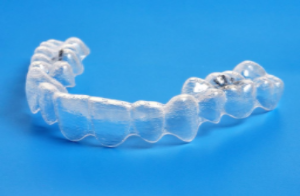 Unlike any other different orthodontic treatments, Invisalign aligners make use of transparent aligners to address the improper bite and misaligned tooth. This treatment is a perfect way to correct these issues without the use of metal braces. It grants much more efficient and safe results that make your straight without others noticing it. Just like what the traditional braces offer. For those people who chose Invisalign aligners over metal braces, let’s consider its advantages, how does it work and all other useful information about this orthodontic treatment. Invisalign aligners make use of a 3D computer imaging system that shows the type of treatment you will need. It starts with the initial placing of the teeth to the best position possible. The aligners will eventually make your teeth show improvement in about 2 weeks. A replacement aligner will be then sent over after 2 weeks until the series is done and the primary goal has been attained. Invisalign aligners are almost invisible to the naked eye, making it more helpful compared to metal braces. This treatment is very much chosen by adults who wish to straighten their teeth without worrying about their personal appearance from wearing metal braces. Invisalign also brings more comfort because it is removable and you can eat anything without having any disruptions. The price of this treatment usually depends on how much your dentist or orthodontist will charge you. The process of Invisalign starts with your dentist or orthodontist taking an impression, dental x-rays, and images of your teeth. A CT Scan of your jaw will be taken next. Every time you get to wear a new set of aligners, you might experience a bit of pain temporarily. This is normal which is also a sign that the treatment is working.